Traditionally Labor Day has been the official end to the Summer season. I hope that everyone has had a fun time and was able to take that family vacation somewhere or enjoy the great outdoors on one of our many lakes and waterways. As schools start back in session let’s remember to allow for a little extra time for our travels as we will be encountering school buses and students walking to school. As many of you know I again had the privilege of working at the Missouri State Fair Fire Department this year as the captain of EMS, we saw a total of 156 calls for service, and 132 patrons of the fair walk in to our First Aid Station. I would like to extend a huge thank you to all who worked at the fair this year for the hard work and dedication to not only this organization but to the patrons of the fair. I would like to also say a great big thank you to Joyce Thompson, Angie Fields, Charlie Peel, Ann Jones, and all the other wonderful people who helped with the cooking and meal preparing to make sure we were well fed and did not leave hungry. On September 8, 2018, the second annual Missouri State Fire Marshal 9/11 Memorial Stair Climb took place in Jefferson City. I want to say thank you to everyone who climbed in remembrance of the 343 brothers who paid the ultimate sacrifice that day, proceeds from this event went to the National Fallen Firefighters Foundation. On September 11, Knob Noster Fire Department held their annual ceremony in remembrance of 9/11 at the City Hall. Be on the lookout for the Membership renewal packets which will be coming out around October, if you have any questions please feel free to contact me at 660-221-6161. If you would like for me to come and visit your department to explain the benefits or to be present at an event that your department is hosting please contact me and I will try my best to attend. 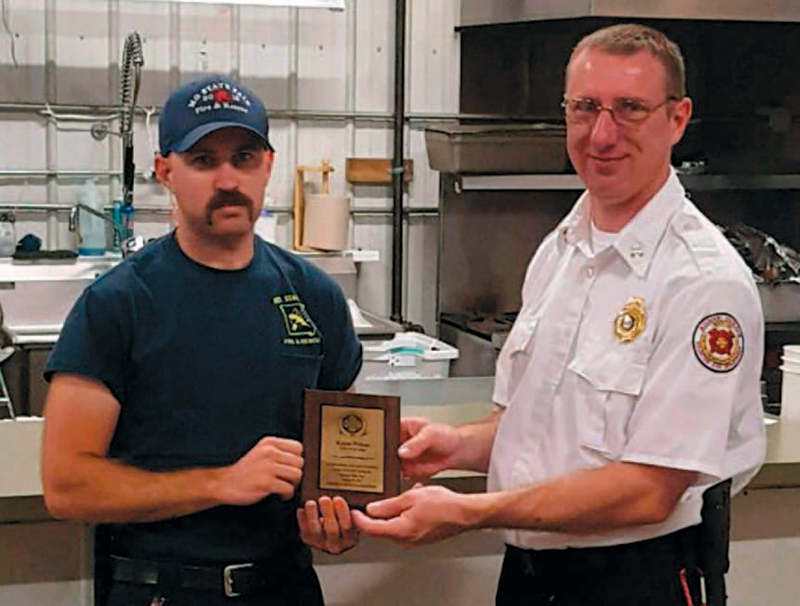 The State Fair Fire Department has another year in the books. I would first like to say, thank you to all of you who helped out with donations to the EMS division after our flood last winter. Without your support and generous donations we would not be able to provide the exceptional service that the fair and its patrons have come to expect from our organization. This year we have seen a total of 156 calls for service and seen 132 patrons who walked into our First Aid Station. I would like to thank SEMA, Kevin Tweedy, and DMAT for all of their assistance during the operation of the fair this year and hope to have you back next year. 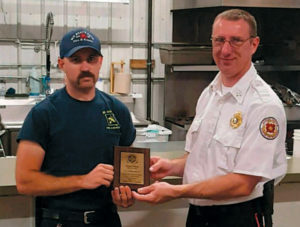 A big congratulations goes out to Terry Plumb of Southern Stone County Fire Protection District for being named the chief for next year and congratulations to Donnie Rogers on his last year as chief of the department. It’s getting to be that time of the year again. Keeping true to the motto of the Missouri State Fair Fire Department, “Mutual Aid at its Best,” we are once again requesting donations of EMS supplies for the 2018 operations. As some of you know this winter we experienced a significant loss of supplies when a water pipe burst and flooded our supply closet.